Hey Memphis! Are you in a bind and need Rush Vinyl Banners and Signs? SignDelivery Inc. in downtown Memphis can help! When you need Rush Vinyl Banners and Signs design and print studios are your key to professional grade wide-format digital printing with a focus high quality experienced design and reasonable pricing. We’ve got banners and signs for as low as $10. We are your source for sign and vehicle wrap advertising. Call 901-521-7446 so we can write you a quote, take your order and get your order going. Or, you can stop by in person and visit our Graphic Design Studio and Digital Printing Facility in beautiful Downtown Memphis. We are located at 340 Monroe. We design, print and deliver. We have free parking and on top of the hill at Danny Thomas and Monroe. Across from the old Wonder Bread Factory. Price Estimating Sign, banner and print product estimating. Site Surveys In person, via Google Maps, or customer supplied photos. Basic Digital Photography For product photos and renderings. Premium Stock Art Using sample stock art for proofs and HD images for printing. Sign Mock Ups See it first. 3D Renderings of Sign Placements See your sign in action on a wall or in the ground. Qty or Area Based Pricing Discounts are based on quantity, area and volume. You can save a lot. Graphic Design Don’t let design noobs ruin your company image. Go with the best and you’ll be glad you did. Online Proofing Your design proofs are managed via our online proofing system. Test Printing We can print hard proofs at your request. Color Matching Bring in your color sample. 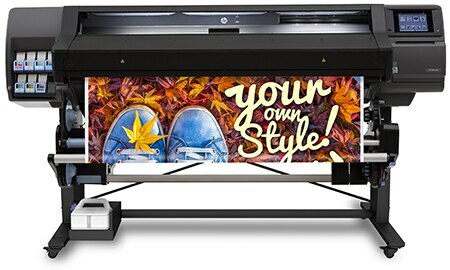 Mimaki 98’w Grand Format Digital Printer Gigantic vinyl Banner and fabric wall or trade show display printing. SignDelivery Inc. is located at 340 Monroe Ave. in beautiful downtown Memphis. If you have questions see any of our products in person, please, stop by our shop or give us a call at 901-521-7446. We take orders over the phone, in person, or via our discount printing website. SignDelivery Inc.